It’s no secret that Therapy Center has the BEST team of professionals in the business! We know that it’s our wonderful group of dedicated, hard-working team members who make us who we are. We want to take time each quarter to recognize just a few of our many awesome team members who consistently go above and beyond their job duties and set an example of leadership and team work for us all. 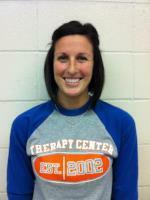 Melissa, Tech has demonstrated great loyalty to the Therapy Center. 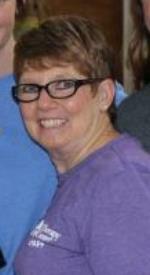 She has transitioned different nursing homes while keeping up with filing and scanning with very heavy caseloads. She is always willing to put the Therapist’s needs first while helping with transporting patients to and from Therapy. When questions arise, she will know the answer. Melissa never complains or asks for help. Melissa is a hard worker. She is always willing to help out with planning staffing for Riviere when needed. Melissa is very organized. Thank you for all that you do Melissa. Rebecca, COTA is a great asset to our TTC team. Rebecca has demonstrated impeccable clinical skills, is a patient advocate, and she regularly goes above and beyond for her patients. Becky assists and treats a three of our skilled nursing facilities, where she contributes her expertise as a Certified Occupational Therapy Assistant. Becky always goes above and beyond for her patients and her coworkers. She is definitely irreplaceable. 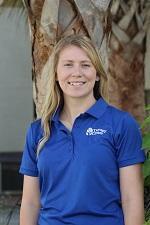 Christin, ATC has established herself as a very important team member in our clinic and Sports Medicine program. Christin is a certified athletic trainer splitting her time working in our clinic and providing sports medicine services to our contracted schools. In both regards, she has been a tremendous asset. In the clinic, Christin plays a critical role in communicating with our therapists about how athletes are doing and how their therapy carries over into their return to sport. She is very thorough with everything she is involved with, she communicates well within every department she works with and follows up to make sure nothing falls through the cracks. She is a key member of our brainstorming meeting and getting relevant information out, keeping processes in check so we continue to provide quality care, are getting good outcomes, and keeping patients happy. In her sports medicine duties, Christin receives rave reviews from student athletes, parents, and school administrators. Christin constantly communicates with all parties involved to make sure our athletes receive the utmost care. Whether it is working in our clinic or out at one of our schools, Christin is constantly making an impact. Thank you for everything you do Christin! Julie, Payroll Coordinator – For nearly three years, Julie has been responsible for processing payroll for the entire TTC family. In that time, our TTC family has more than doubled in size and so has Julie’s workload. Her loyalty, sense of responsibility, and dedication often have her working long hours to ensure her ever-shortening timelines are met and we are all paid accurately and on time. With the recent rollout of the Personal Days Off, Julie diligently worked through all the kinks and troubleshooting that come with setting up a new policy. Julie is a dedicated mom to her teenaged kids, finding time to coach or help coach their track, volleyball, basketball, softball, and baseball teams. To say Julie is one-of-a-kind would be an understatement! We are incredibly grateful to have Julie on our TTC Team. 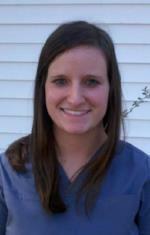 Victoria, OT – I would like to nominate Victoria for this quarter’s helping hands for a variety of reasons. First and foremost, she is much more than the OT and certainly deserves to be recognized for all that she does for the residents, the therapy team, and the NH staff within her facility. She goes above and beyond on a daily basis during her skilled occupational therapy treatment sessions, and works to serve her residents in a manner in which to return each resident to their highest level of function to improve their quality of life. Victoria is extremely passionate about her residents and their betterment to become as independent as they are capable. She is constantly advocating for her residents and consistently assists them with daily tasks, beyond performance of occupational therapy. In addition to her undeniable skills as an occupational therapist, she also possesses excellent leadership qualities within the therapy team as demonstrated by her motivational personality and willingness to work as a team with all disciplines. Victoria communicates with each discipline in order to effectively treat her patients holistically, and has each resident’s PLOF as her ultimate goal. And lastly, Victoria is an outstanding employee for The Therapy Center, yet goes above and beyond for the facility she works within on a daily basis. Victoria leads fall prevention meetings for the CNA staff on a monthly basis with her resident’s best interest at heart. She also, on a daily basis, communicates effectively and professionally with the nursing staff, social worker, maintenance staff, and dietary staff to develop an effective relationship with each of these groups. Overall, Victoria Baudoin is an exceptional OT, she strives to better the residents , she compassionately leads, and she most definitely deserves recognition as this quarter’s helping hands recipient! 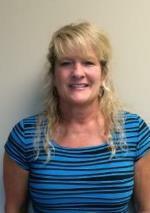 – Ashley H.
Heather, PTA – Heather has been with TTC for a few years. She is now at one of our newest facilities in Springhill, LA. She has gone above and beyond to assist with the start up back in December, and has continued to show great initiative. Heather has done a great job in being the face of TTC at her facility by attending all meetings, providing great quality treatment to her patients, and meeting all the needs of the facility. She is always a great help and keeps a positive attitude at all times. Heather, we appreciate all your hard work and dedication to TTC. We are lucky to have you! Brent, IT Manger – We would like to recognize Brent’s work and dedication over the last few months. Not only has he been responsive to the daily phone calls and emails on technology challenges we have in the field, but he managed this all while an extensive time on the road, managing THREE office moves in a matter of weeks. 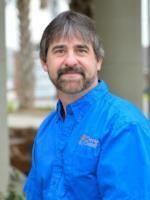 His hours of effort and planning for our new outpatient clinic locations and corporate office are greatly appreciated. THANK YOU for all of your hard work! 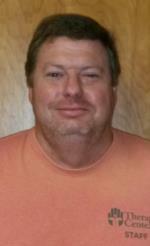 Scott, COTA in Avoyelles Parish has gone above and beyond in assisting us with weekend coverage throughout the company. He has covered Lake Charles, Lake View, Church Point, Bunkie, and many other homes over the last several weeks often with little notice. 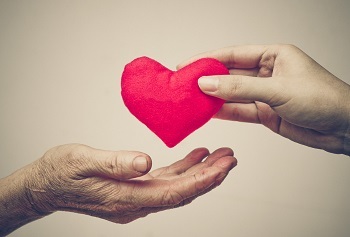 Scott’s assistance has limited the use of PRN and allowed our patients to be treated by a clinician who is familiar with geriatric care and our systems. We appreciate Scott’s ongoing hard work and dedication!!! 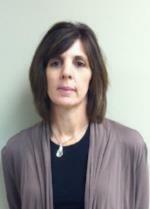 Beth, PT provides therapy services at two of our busy facilities. Beth works a very active schedule between these facilities by going above and beyond to maintain caseloads, provide great patient care, while maintaining documentation. Pending even last minute needs, Beth is always willing to rearrange her schedule to assist the needs of the facility. Her team members appreciate her work ethic and dedication. One coworker reported “Not only does she work while at the facility but she also does work at home either early morning or late at night, while being pregnant, being a preacher’s wife, being greatly involved in her church, and being a mother to her little girl”, stated Lacy H. We appreciate all of your hard work Beth! Thank you for all that you do! If you are looking for a career with a company focused on compassion and results, visit our website for current job opportunities. Stay tuned for more blogs where we highlight those who make our company shine!